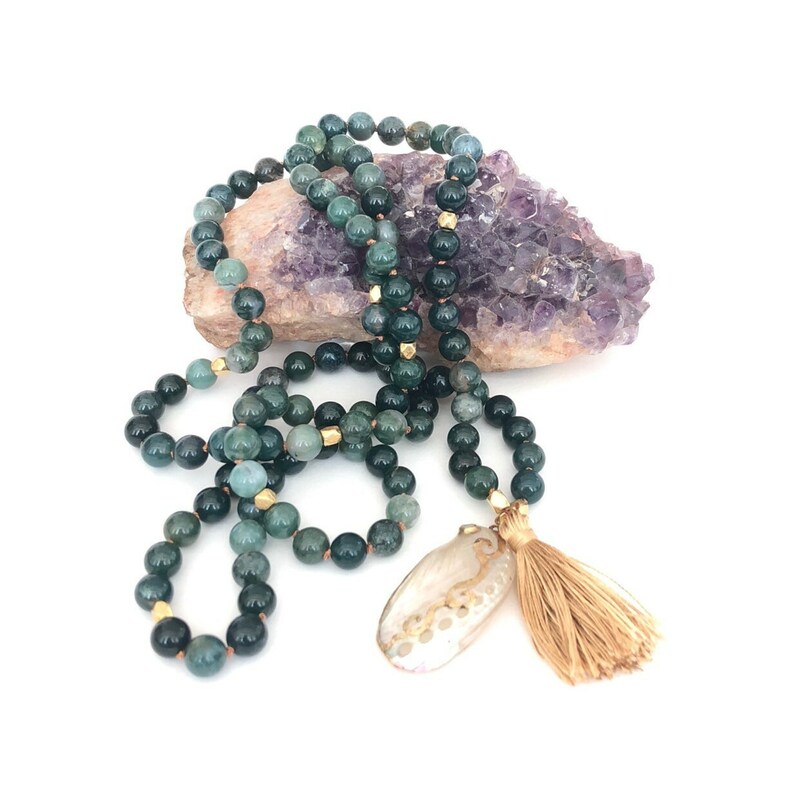 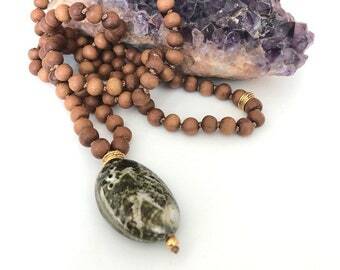 Rich green Moss Agate beads are hand-knotted on Silk Cord along with brushed gold-plated nugget beads and a natural Abalone shell pendant. 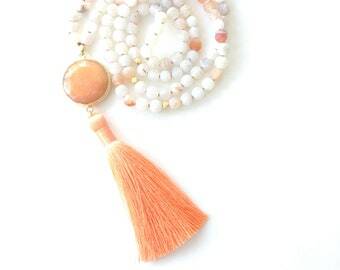 A tiny silk tassel finishes the Mala. 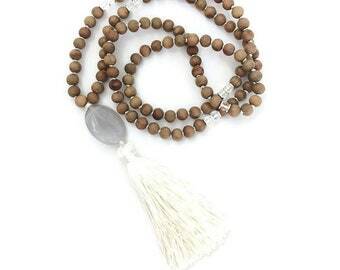 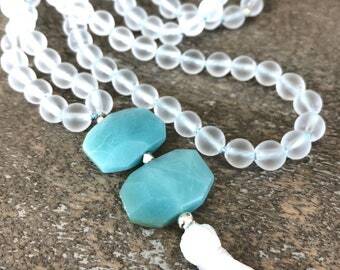 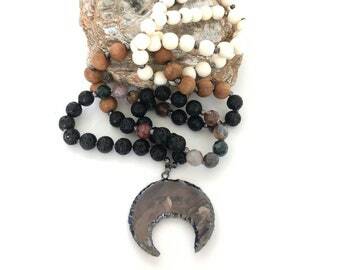 We use only the finest materials and hand make each Mala here in our home studio in south Florida. 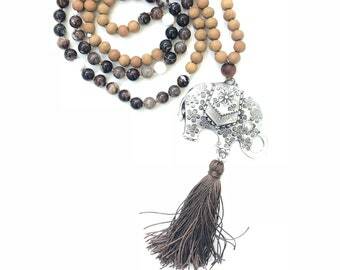 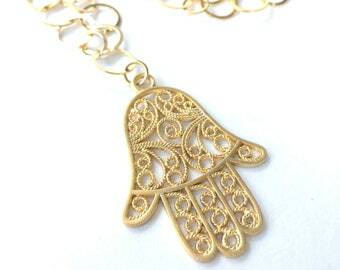 Your Mala is packaged in a custom Girl108 jewelry pouch.